Imagine a society where women, not men, hold most of the household power: property is passed from mother to her youngest daughter and husbands move in with their mother-in-laws after marriage. Now imagine that place existing in India, a country that’s frequently criticized for ongoing violence and discrimination against women. Located in the jungle of the Indian state of Meghalaya, Mawlynnong provides a lush, forested landscape that the indigenous Khasi people call home. 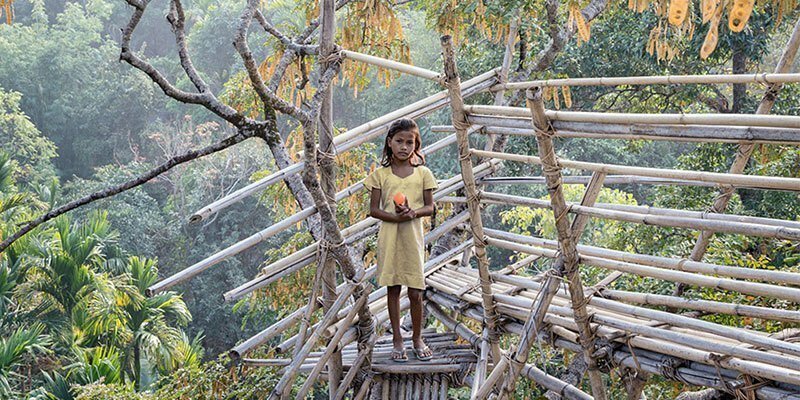 Nicknamed “God’s Own Garden” for its impressive cleanliness and beauty, it is the setting of a different societal narrative, where matrilineal traditions persevere and young Khasi girls wear necklaces of dried fish skeletons and play with hooves instead of Barbies. 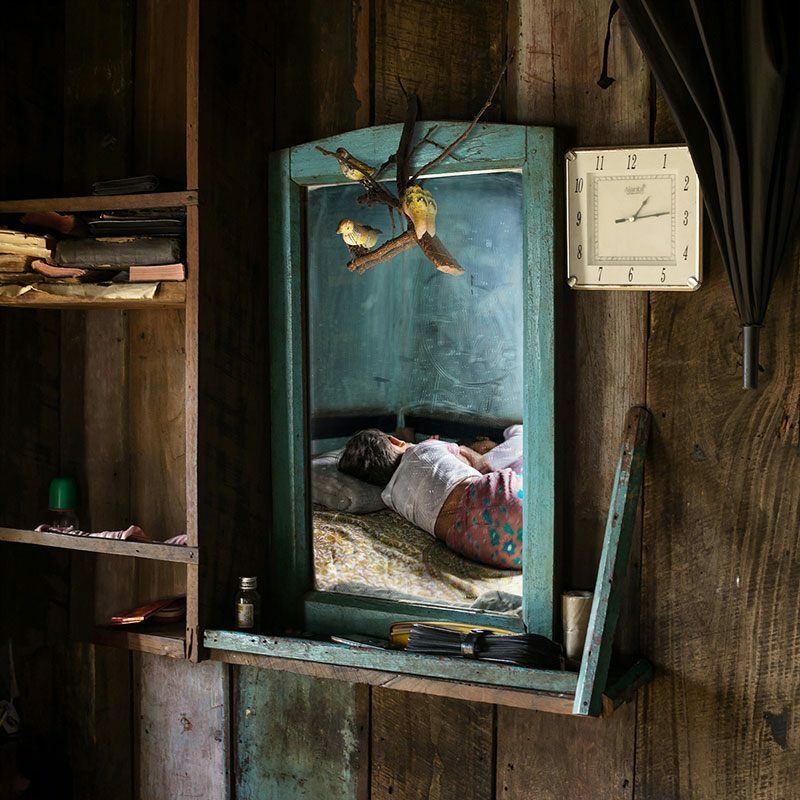 For better or worse, Western modernity has not reached Mawlynnong. German-born photographer Karolin Klüppel spent almost a year in Mawlynnong for her series “Mädchenland,” meaning “Kingdom of Girls.” Known for her interest in gender and its portrayal, Klüppel does the perfect job of juxtaposing the girls’ delicate youthfulness with their strong personalities. Though these girls are “old beyond their years,” Klüppel notes that they seem to be some of the happiest, most self-confident children in the region. 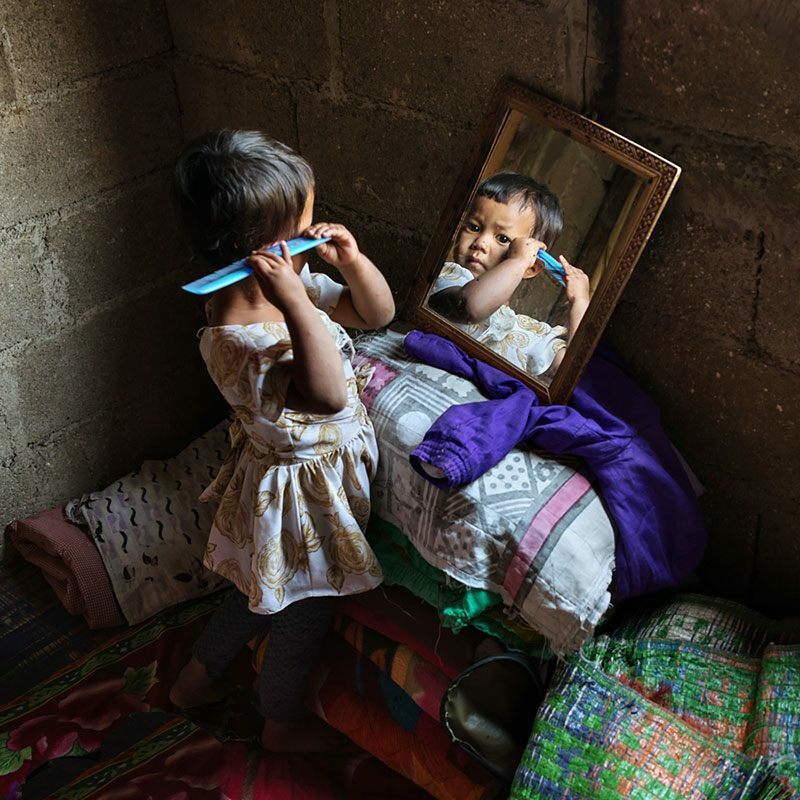 In the Khasi tribes, girls are given a lot of responsibility from an early age—they usually complete household chores and care for younger siblings at the age of 8. They study at the village school until they turn 11 or 12, and then they continue their studies in Shillong, the state’s capital. From there they can either head to the university or return home. Unlike some other parts of India, these girls can choose when (and if) they get married without the fear of an arranged marriage. 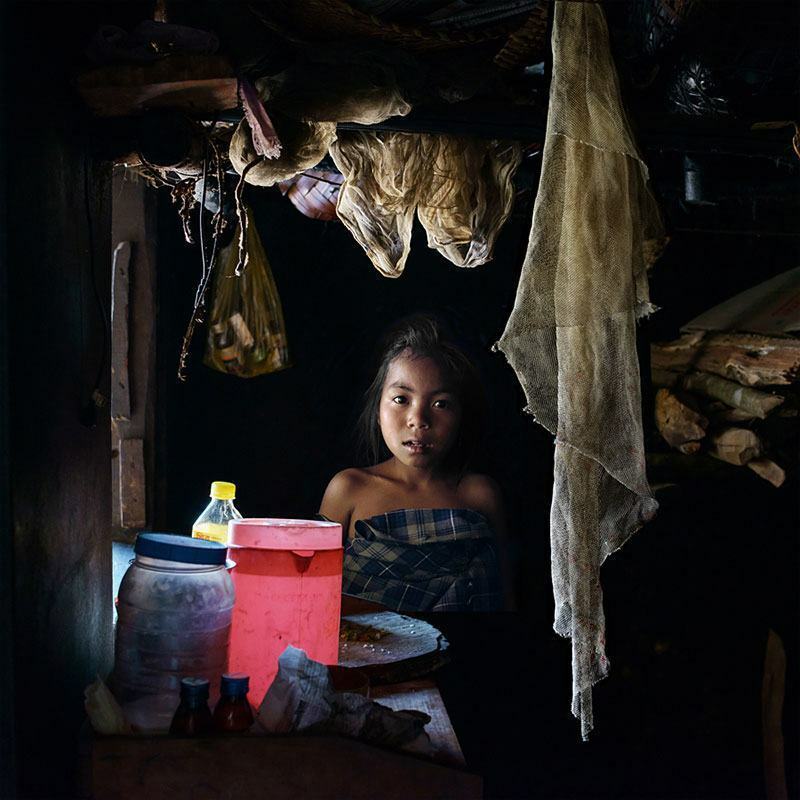 While women hold almost all of the household power in Mawlynnong, they are underrepresented in positions of political power, and therefore the region should not be mistaken for a matriarchal society. In fact, all of the government ministers (and most of the village council members) are men. Still, men cannot own land, and often require a female relative’s permission to make important decisions. This is not an equal society, nor is it the corollary to patriarchal societies seen around the world. Rather, and as Klüppel’s photography helps highlight, it is a reminder that multiple worlds and realities can exist simultaneously, and within a single, physically-defined space.